I have a couple of posts in the queue (sitting in my brain waiting to be written) for Philanthropy Friday, but I’ve had a full week where my brain just can’t take much more thinking or writing. Instead, I took a look back at what I wrote two years ago this time of year. Since everydayhero is featured in my book, Simple Giving: Easy Ways to Give Every Day in the chapter on a new approach to traditional philanthropy, I thought it would be fun to share them here again. everydayhero is a global fundraising platform that allows you to see the impact of your giving. Just launched in the United States (ed. 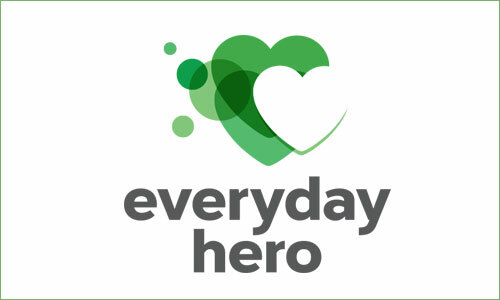 note: in 2014, when this post was published), the original concept for everydayhero was co-founded in 2004 by Simon Lockyer and Nathan Betteridge in Australia. Back then, they started a consumer brand that gave a percentage of its sales to charity. Both had done a lot of work in the nonprofit sector and wanted to incorporate giving into the brand that sat in big stores. That consumer brand never took off, but they noticed the Internet was really taking off. They left the stores and went online to create everydayhero in 2007. Simon tells me their goal was to make giving more accessible and easier. They saw that nonprofits were poorly funded and that peer to peer fundraising was prevalent. A lot of consumer research was done prior to launching everydayhero. They wanted to go beyond the dollar sign and truly understand what giving means to people. They found that we are motivated when we can see our impact. Showing people a quantitative view of their giving makes people want to give even more. Knowing these facts, Simon and his crew set out to measure more than just a dollar amount. They also measure our time, voice, energy and effort. 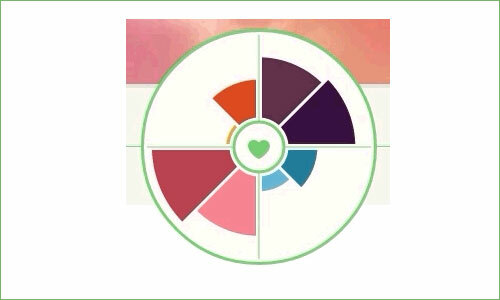 everydayhero has partnerships with MapMyFitness, VolunteerMatch, Facebook and Twitter, allowing users to quantify their own giving footprint. I set up my own account in everydayhero and was able to create a volunteering goal and log the hours I’ve already put in this year at the Mid Coast Hunger Prevention Program. You can also create your own fundraising pages, which are easily shared and tracked via social media. And you can see the collective impact you are making with other community members around the world. I’m told $206 million has been raised using everydayhero from 3.8 million donations since 2007.
everydayhero was acquired by fundraising giant Blackbaud in 2011, so it is also backed by an established nonprofit technology partner. Watch this video to find out more about how everydayhero works. Will you track your giving footprint? Oh wow this is such an awesome thing. Your book has been constantly in my mind, i t really has motivated me to be accountable to myself and actually follow through with my giving goals. Jess recently posted..Happy 2nd Birthday Summer!